You might have noticed them sitting in the group photos or maybe they're playing around with some of the members of the units. 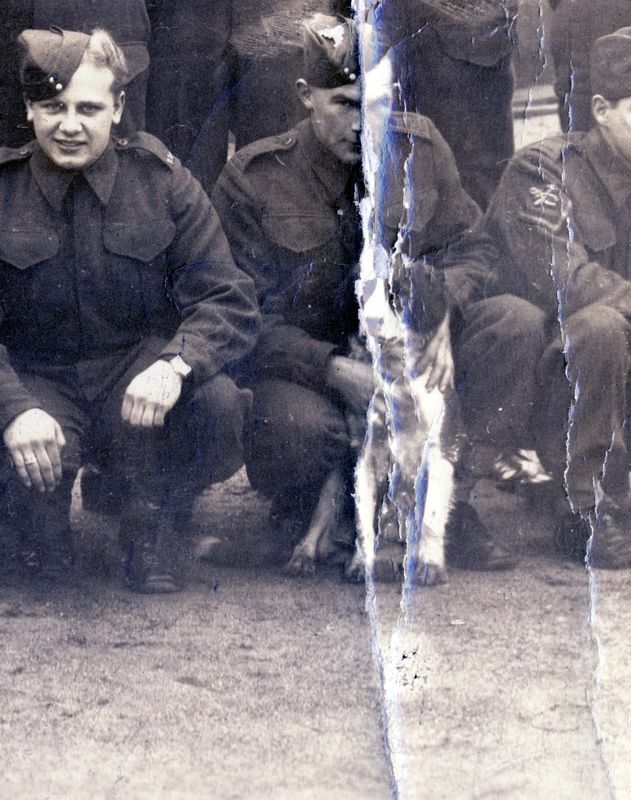 Somehow they've managed to smuggle a dog onto Yorke Island or maybe they've adopted one of the local animals. For whatever reason, they deserve to be remembered as well. George the dog is in the picture. Unfortunately his image got caught on the fold in the original. Can you tell what breed he is? 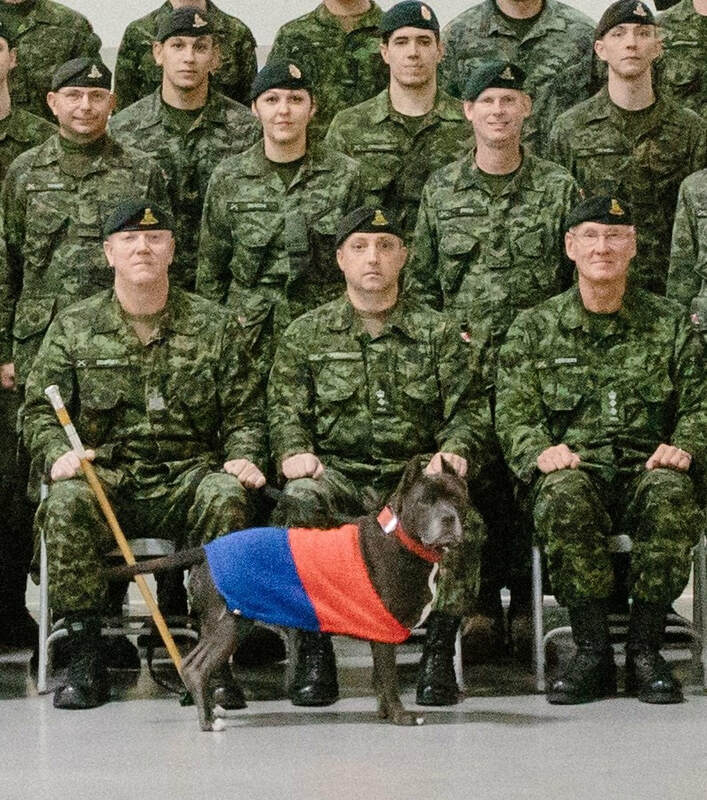 Honorary Master Bombardier Francis became the unit mascot in 2014 when his master, Lieutenant-Colonel Brent Purcell became Commanding Officer. 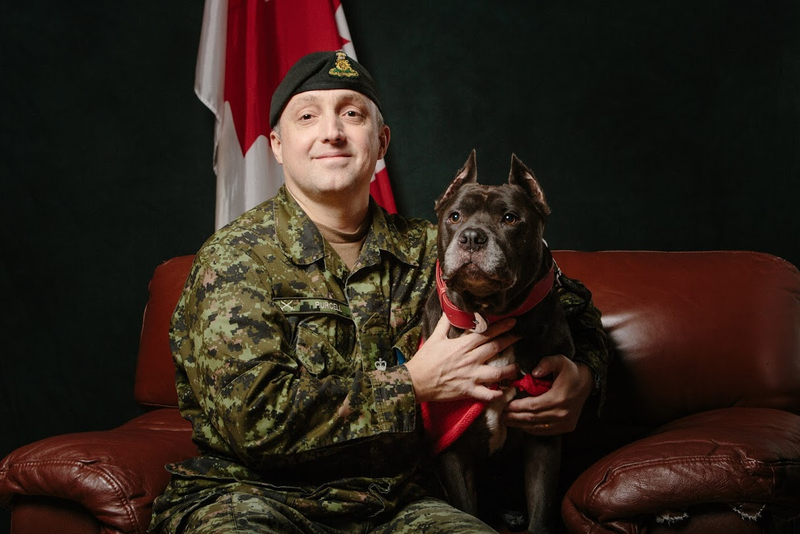 "He was the sweetest and most loyal dog I have ever had the honour of calling my friend", says LCol Purcell. Sadly Francis passed away from cancer in February 2018.